Uncle Buck is so many things that they all seem to cancel each other out, making it extremely difficult to fit the film into a single category or genre. I’ve always liked it, but I’ve never been able to put my finger on exactly what it is. It has a lot of elements of a comedy, but it has an equal number of elements of a drama and even kids movie. It doesn’t seem to fit any mold I can think of. 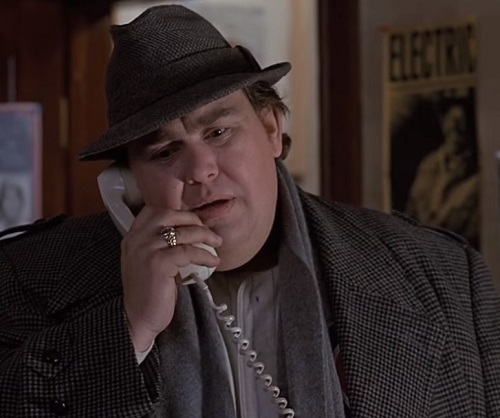 So, is Uncle Buck a comedy with dramatic elements or a drama with comedic elements? Let’s find out by exploring the five categories it might fit into and seeing how they interact and finally come together in the end. Uncle Buck has plenty of gags and jokes, such as Buck’s car, which burns more oil than the hero in Iron Eagle and frequently makes a loud explosion as it sputters to a stop. This gag not only shows off Buck’s eccentric personality, but it also puts him at odds with his teenage niece Tia. She takes pride in being different than everyone around her, but she doesn’t want to stick out that much. And having everyone stare at her as she leaves Buck’s car after it makes an embarrassing spectacle isn’t her idea of a good time. There are plenty of other funny moments in the film, like when Buck pulls his suitcase out of a shelf in a closet, causing a chain reaction where everything else on the shelf falls on his head – including a bowling ball. And later, Buck shatters an “unbreakable” plate with the slightest touch. And at an elementary school he struggles to use a tiny urinal. The scene of Buck, Miles, and Maizy trying to get some sleep into the wee hours of the night is also a treat. The comedy usually comes up unexpectedly. There can be a whole scene without any jokes, and it’s followed by one completely devoted to humor. But mostly the movie doesn’t dwell on its jokes. It just includes them as a natural part of its story. Buck almost immediately butts heads with Tia upon entering her home. She is a rebellious teenager. She hangs around with a bad crowd, dates a guy who turns out to be a total scumbag, treats everyone in her family like garbage, and is just an unpleasant young woman. However, she is a fraud. We know that from the moment she refuses to eat Buck’s breakfast and settles for a cup of coffee. She can’t stand the taste of it, but she hides her true reaction because she can’t back down once she’s challenged Buck’s authority. Tia is clearly the most domineering person in her home, but she secretly wishes to have a better relationship with her emotionally distant mother. She doesn’t really want to be mean; she wants respect and attention. She’s hurting deep inside, so she lashes out to try to make everyone else miserable, too. But as she eventually learns from Buck, isolating herself from the very people who want to love her isn’t the path to happiness. Buck Russell is a complex character. He is unemployed, he depends on gambling for his income, he has been ostracized by his family, and he has a real problem with his romantic life. None of this is particularly funny, nor is it meant to be. In fact, there are a number of scenes that are extremely dramatic and depressing. Like when Chanice catches Buck in what appears to be a compromising situation with a female neighbor, causing Buck to sink into depression and drink away his problems that night. And then the next day he nearly makes a horrible choice involving his young nephew and niece, but at the last minute his conscience gets the better of him and he does the right thing. 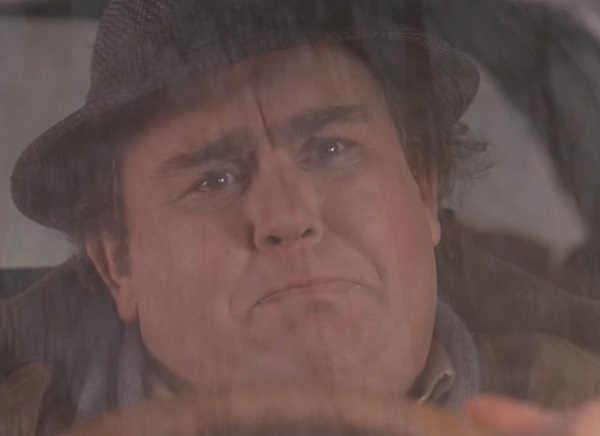 It’s a brutal scene and it’s mostly dialogue-free, but you can see the agony in Buck’s face thanks to John Candy’s pitch-perfect performance. Uncle Buck has a very dramatic heart to it. Buck and Tia are forced to change a lot, which is painful because they’re the most stubborn characters. But it’s wonderful to see who they become by the end of the film. The romantic comedy element of the film comes in the form of Buck struggling to hold on to his relationship with a no-nonsense woman named Chanice. Buck has to break commitments to his girlfriend and they constantly fight over misunderstandings, such as the aforementioned neighbor scene. One really clever thing that this film does is to have three significant phone conversations between Buck and Chanice. In the first one, Buck can’t get a word in edgewise as he gets chewed out by Chanice. In the next phone call, he leaves a message on her answering machine because she refuses to answer his calls, and he proceeds to melt her heart by talking about funny memories they share. Both of those calls are one-sided with one unable or unwilling to talk back. But the third phone call is different. Buck’s defenses are all down. He just wants to speak frankly with Chanice. She gives him a piece of her mind and he takes it, not asking for mercy or pity. But both of them win as a result of this final phone call because they were both willing to talk. Tia’s younger siblings Miles and Maizy (played amazingly well by Macaulay Culkin and Gaby Hoffmann) explore some interesting ideas about childhood in this film. Shortly after Buck arrives, Miles interrogates him with a barrage of questions. When Buck compliments his perceptiveness, Miles (in a deadpan delivery) says, “I’m a kid; that’s what I do.” They sometimes use vulgar language, but they never come across as terribly vulgar. They are just the cutest kids, which makes it even funnier and more unexpected when we hear them repeat some rather colorful phrases from their uncle. At Miles’s birthday party, a clown arrives, but he and his friends point out that they’re too old for a clown. It shows how disconnected the mother is from her children that she would schedule a clown when her son has no interest in one. When the clown shows up, he’s drunk and Buck rightly demands he leave. Buck even flattens his silly clown nose with a good punch in the face. 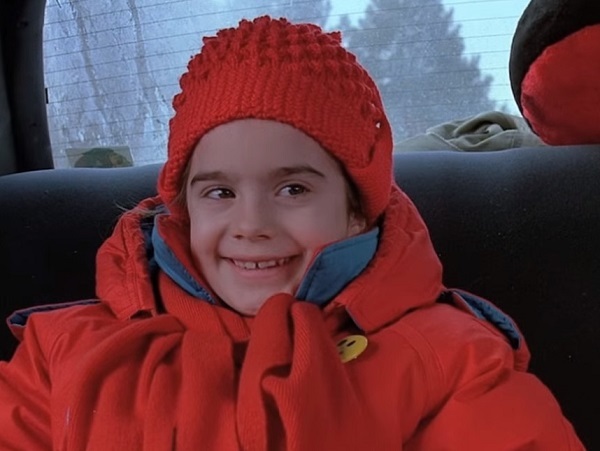 In the movie’s best scene, Maizy’s assistant principal meets with Buck to discuss the fact that the 6-year-old girl isn’t taking her education seriously. Buck boldly defends his niece, cartoonishly mocking and threatening the assistant principal for losing sight of what childhood is all about. This scene seamlessly melds drama and comedy to create a most satisfying experience. Miles and Maizy are also the Greek Chorus of the film. They are always commenting on Buck’s provocative actions and their older sister’s annoyed reactions. Most of their insights into what’s going on in the film are both hilarious and inspired. The amazing thing is that all of these elements come literally crashing together at the end. Tia’s parents return home to find their daughter waiting for them. She sheds her angry-teenager mask and embraces her mother in tears. The mother tenderly holds her and promises to change for the better. Meanwhile, Buck, Chanice, Miles, and Maizy are waiting in the kitchen where they’re trying to be as quiet as possible so they don’t ruin the mood. But right at the climax, Buck accidentally knocks over every pot in the kitchen, interrupting all the good feelings going on in the other room. Despite the presence of his young niece and nephew, he can’t help shouting just one expletive. This scene epitomizes the film. All the drama and comedy of the film finds its final expression in it. This is all well and good, but we still need an answer to the question of what, if any, single category this film falls into. 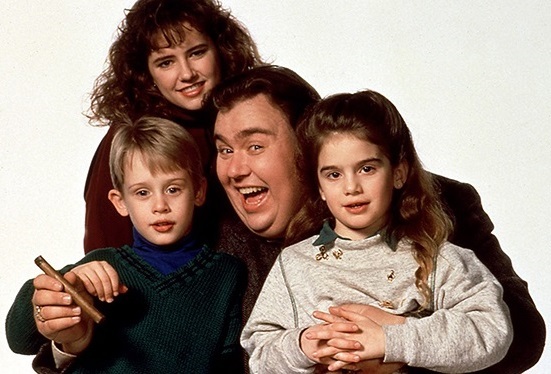 If I had to categorize Uncle Buck, my gut says it’s a screwball comedy that takes a realistic and character-driven approach as opposed to most films in its genre. It focuses on the inability of people to properly communicate with each other, often with hilarious results. Just about every scene is punctuated by some kind of gag. Most of the film’s emotional scenes end with humor. Why build a story around such a humorous character like Buck (and hire John Candy to play him) unless you were making a comedy? The odd thing is that if you remove him from the film, it would be a drama. You see why this is so hard to untangle? John Hughes liked to play with genres. I mean, is The Breakfast Club a comedy or drama? To me, it’s a drama, mostly because it spoke so much to my experiences growing up. But I can absolutely see why others would say it’s a comedy. So the Buck stops on screwball comedy, in my opinion. 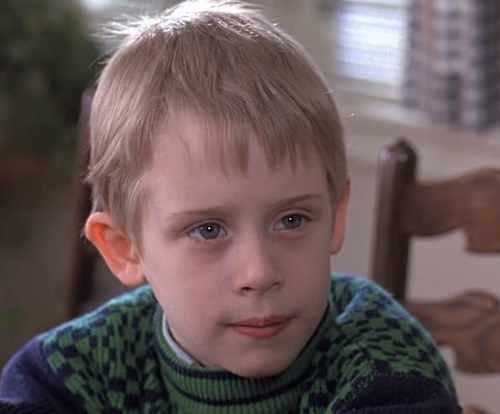 This entry was posted in Random Stuff and tagged 1980s, children films, comedy, drama, film genres, films, funny, humor, john candy, john hughes, macaulay culkin, movie review, movies, romantic comedy, uncle buck. Bookmark the permalink. I agree with all your points. Now I feel the need to watch this film again. My pleasure. Thank you. 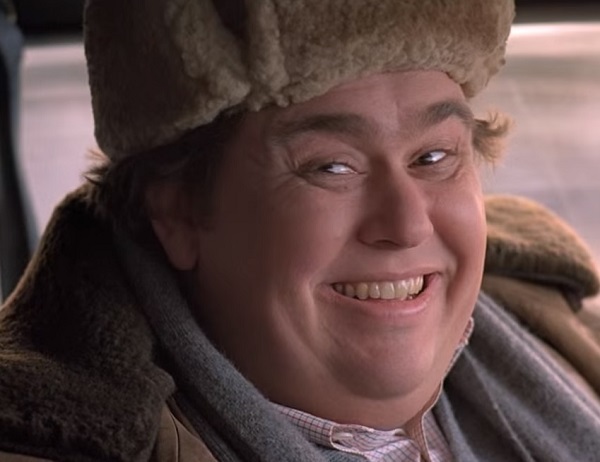 Uncle Buck is definitely a cut above most comedies because it takes the time to build its characters and not just have them interact with situations, but other interesting characters.